TrustTelecom Review 2019: Is TrustTelecom a Good Hosting? Trust Telecom describes itself as a “web specialist” that has specialized in creating and hosting websites since 2006. They also advertise themselves as a “high-quality web host at discount prices” and they pride themselves on being “made in France”. 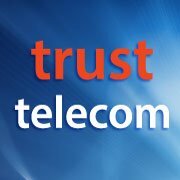 Founded in 2006, Trust Telecom is a French website hosting provider based in Aix-en-Provence. They own their own servers which are located in Marseilles, and as a proudly-French company, their website is available only in French (unless translated). Their value-adds across all hosting packs include unlimited FTP access, subdomains, MySQL databases, website traffic statistics, and security measures such as antivirus and antispam for email accounts. The four packs are differentiated by the amount of storage capacity (from 1 GB to 20 GB), the maximum monthly requests (from 1,000,000 to 20,000,000) and the maximum monthly traffic (from 10 GB to 250 GB). These packages provide basic hosting that (as far as I can tell) does not include beginner-friendly features such as a one-click installer or a website builder. Nor do they seem to support advanced scripting languages other than PHP 5. While Trust Telecom owns all its own high-end servers, it is not clear if they actually own the Marseilles data center in which they are housed, but my guess is not, because it’s surely something they would shout about. They offer backups, they provide 24/7 monitoring, and they offer a guarantee that gives you two days free for any day lost. Trust Telecom’s first three hosting packages are pretty cheap when compared to lots of international and local competitors, and their resource allocations are likely to be sufficient for most ordinary website owners. Only the top package is not as ‘affordable’ as the other three. Domain registration and SSL certificates cost extra. Contract lengths are twelve and twenty-four months, with no month-to-month alternative, but with a discount for committing to two years. Unfortunately, there is no free trial and no money-back guarantee that would make you feel better about making the commitment. Customer service can be accessed by phone, email, and an online contact form, and there is also a customer area that lies behind a login screen. This may well lead to a support ticket system and/or additional documentation, but I can’t say for sure. They say that their average response time is three hours and that most issues are addressed within 24 hours. French hosting provider Trust Telecom could easily appeal to French customers looking for basic website hosting based on high-end servers located in France. Wondering how TrustTelecom stacks up against other Web Hosting companies? Enter any other Web Hosting company and we will give you a side-by-side comparison.